That’s all the Cubs took today. It is hard to build some depth in a system with a lot of needs. Outside of catcher and starting pitcher, the Cubs need a little bit of everything. 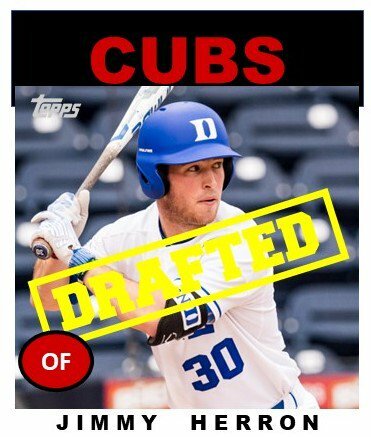 While the Cubs do pick 30 more times tomorrow, only about half of those will sign. Usually, the top 10 sign every year. The Cubs went with 4 position players and 4 pitchers with today’s choices. That brings their two-total to 7 position guys and 5 arms. 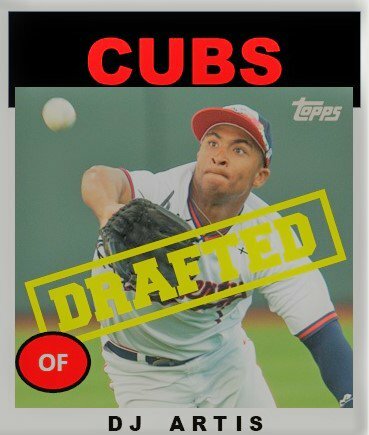 As for day two’s picks, I like several future Cubs a lot. 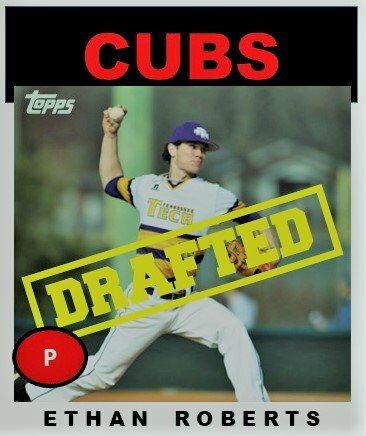 4th round pitcher Ethan Roberts comes across as a pitcher on the rise. 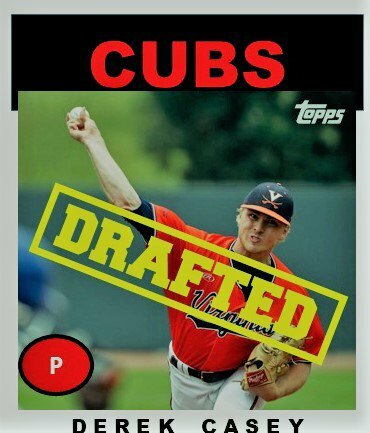 6th round pitcher Kohl Franklin has MLB bloodlines, but he already is throwing in the low 90s with a very very projectable frame. 7th rounder DJ Artis was ranked as a possible first rounder in January. Still, his skills did not diminish, he just got worked around a lot. 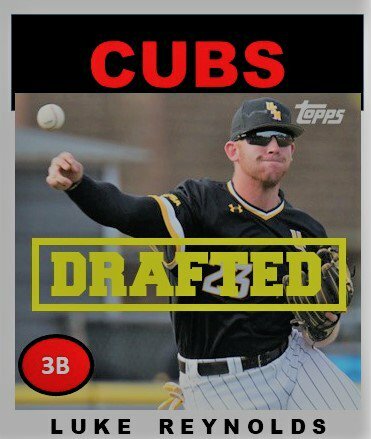 His selection might be a steal along with 9th round pitcher Derek Casey from Virginia and 10th round choice Luke Reynolds of Mississippi State. I like the variety of players the Cubs selected today. I will be back tomorrow with my coverage of Day 3, which starts at 11 am Central. I will be live blogging on and off. It will be hard to keep up as the Cubs make a pick every 10-15. There will be times I fall behind on profiles. Here are today’s 8 selections. He hit well on the Cape last summer and gained a lot of praise, but was injured most of this year at Duke. Excellent makeup and top of the order kind of guy. Projects as a top of the order kind of guy. Should begin his career at Eugene. Misses a lot of bats. 96 Ks in 71 IP this year. 2.41 ERA in 26 games. He was not in BA’s top 500 or MLB Top 200, as most closers are not. Yesterday, he started for the first time against Mississippi State in the CWS and went 7.2 IP before giving up 4 runs in the 8th. 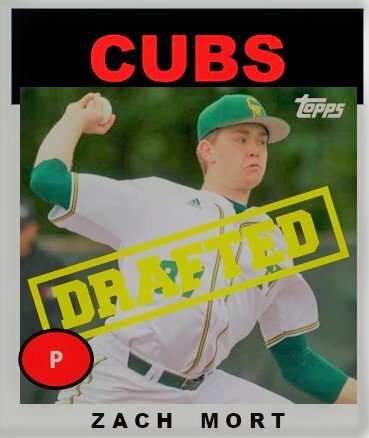 Cubs fans should get to see him in some capacity this weekend in the Super Regional. Still trying to find a scouting reports on his arsenal. He has not played summer leagues, so his arm is still pretty fresh. It will interesting to see if he starts or relieves in 2019. For this year, expect to see him in Eugene. Hit first, but is a decent defender. 3 year starter. He was not listed on any top lists. However, he hit .344 with a .415 OBP and drove in 49 in 54 games. Very impressive. His K rate this year was about 15% while he walked about 12% of the time. He did OK in the Northwoods League (a wooden bat league) over two summers hitting .280 and .309. HOME RUN!!! Two games, two home runs for Andy Weber! I love this pick! He was injured for part of the year (seems to be a theme this year) but he has big game pedigree, a nice projectable frame, good life on his fastball up to 93, and also throws a slider and a change. 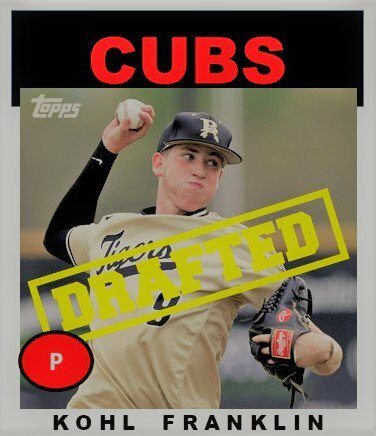 From early May, #Cubs 6th round #MLBDraft pick RHP Kohl Franklin: "Ever since I could start playing baseball, I've wanted to make it to the MLB…And it just makes me look back on all those times I was sitting there thinking this is so hard. It just shows that it's all paid off." DJ Artis was slated as a late first round pick at the beginning of the year. He took a step back this year after being named the Conference player of the year. He can hit for average, he has amazing speed, and he was probably pitched around a bit this year. More than likely, he has second round talent. This is a bit of a steal, to be honest. He was ranked 136 by MLB Pipeline and and 145 by BA. He’s proven he can really hit, albeit from an unorthodox crouch from the left side of the plate. There is some raw power, but he doesn’t tap into it consistently, focusing on line-drive contact and drawing a lot more walks than strikeouts. 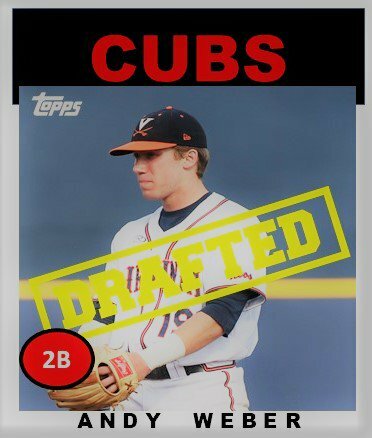 He’s a plus runner who can handle center field with below-average arm strength, one who could one day hit near the top of a big league lineup. Whiffed 108 in 105 IP. Only walked 13. Wow! Jim Callis said he is ultra-competitive. Made 15 starts this year with 3 complete games. That’s impressive! He had a 2.48 ERA this year. Missed all of 2016 with TJS but has rebounded well the past two years. He has a nice K/BB ratio of 4 to 1. Had a 3.79 ERA in 2017 and 3.48 this year. I like this pick because he’s solid. He could relieve, he could start, but I am leaning starter first in 2019. I like this pick. His experience will add to his pitchability. He was a hitting machine this year. But his OBP was .551! Wowzers! Likely to play first base as a pro. The NCAA made him actually sit out two years after transferring from Mississippi State and he responded. Amazing! He is very disciplined and can hit to all fields. He is the sleeper of this class so far.